We introduce ourselves as a leading application company of Specialized Flooring / Coatings. We offer these Stadium Sports Ground Coatings for Stadium to our clients. "Shree Hans Enterprises", Incepted in the year 1998 has legal status of proprietorship firm and we are manufacture and service provider of Floor Coatings, Waterproof Coatings, Sports Ground Coatings, etc. We are the leading provider of Floor Coating, Wood Coating, PU Coating / Polyurethane Coating, Epoxy Coating, Wall Protective Coating, Floor Protective Coating, Wall Protective Coating Services, Floor Protective Coating Services, Anti Corrosion Coatings, Thermal Insulation Coatings, Waterproof Coatings Services, Antistatic Coating Services, Clean Room Services, Sports Ground Coatings and others. 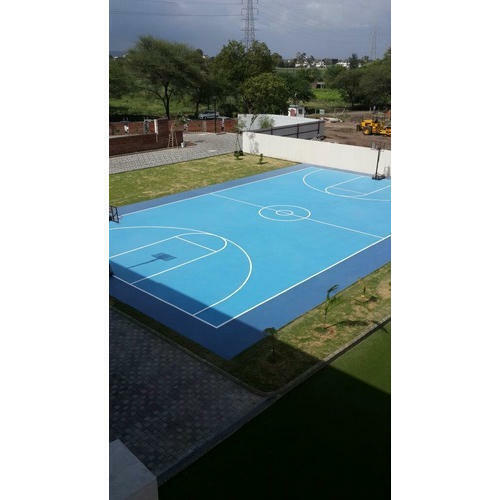 Further, with advanced tools and equipment, we ensure to carry the wall protective coatings and sports ground coatings smoothly and effectively. We also use latest process and technology to provide antimicrobial coatings to combat destructive microbes and reduce the growth and migration of bacteria.